Here at Morrone Interiors, we believe that personal attention and building client relationships through exceptional service is as important as the innovative designs we provide our clients. Seaglass is "created" by nature in that man made glass is tumbled by the sea and turned into beautiful pieces of frosted glass. Vincent Van Gogh said, "If you truly love nature, you will find beauty everywhere." From a young age Seaglass Sisters Megan and Katie were inspired by nature. Over the past few years both Megan and Katie had the opportunity to experience Island Living, Megan on St. John and Katie, St. Maarten. On these islands a love of seaglass was born that continues to inspire the sisters today. They have a passion for design and for using materials that can weather the storm and turn better with age. They aim to keep nature in mind while bringing vision, balance, and flow to a space. Providing unique, exclusive and distinctive designs that will stand the test of time. We compose stylish interiors that are physically and psychologically comfortable, as well as pleasing to the eye. Kym Smith of Kym Smith Interiors, Inc. is an experienced interior designer in residential, commercial and hotel convention spaces. Our mission is to revive and renew living spaces for improved function and style. Our process helps clients envision the possibilities of achieving both practical solutions and stunning design. We specializing in re-doing and remodeling existing homes with creativity to enhance your lifestyle. We enjoy helping you move past the ho-hum of a boring space to a space that is uniquely yours. Candela Creative Group is a Branding, Multimedia & Design Company. We have been helping our clients reach excellency, innovation and creativity for almost 2 decades. At Gail Barley Interiors, we are committed to creating designs that are classic and timeless in style, yet still feel current. Our sophisticated clientele trust our creative and enthusiastic team to use our 20+ years design experience and turn their thoughts and ideas into a customized home that exceeds all expectations. Best of Houzz 2016 & 2017. The team at John McClain Design creates projects based on an eclectic mix of traditional elements fused with clean lines and touches of glamour. Tina Marie Interior Design is a boutique interior design firm specializing in luxury residential interiors and up-scale commercial venues. For over 20 years, Wolfe-Rizor Interiors has been creating elegant, livable Décor that strikes the delicate balance between modern luxury and timeless beauty. Let us help you change the way you live. Through a specialized team, we'll design and decorate your house, according to your style, with everything included and ready for rental, if it's a vacation home or for your own use. We believe that good design should reflect a client’s personality and the way they “live” in their home. We listen to each client’s needs, and develop an individualized plan for them! My passion has always been for creating “WOW” looks for people, homes and events. I enjoy elevating people and places to new levels through external appearances. Combining my creative vision with your personality & individual preferences, I will listen to what is important to you, put it into my heart, and design a beautiful space that you will enjoy forever! Through strong design forwardness & problem solving, Nathan Vanags Design creates unique design solutions. Our curiosity for space & people fuels our drive to improve clients' lives. Formed in 1998, and located in Central Florida, Masterpiece is ranked one of the top Interior Design Firms in the region. We specialize in Model Home Merchandising, Private Residential Interiors and Boutique Hospitality Sectors. Our Award-Winning, unique projects come from the creative minds of our talented design team, and currently, we employ over 40 professionals, including; designers, assistants, interior architectural detailers, in-house procurement and purchasing, accounting and operations.... Visit us at: www.masterpieceinteriors.com for more information! Design has always been my passion. After completing my degree at the New York School of Interior Design, I have enjoyed over 20 years of design experiences, large and small. A.Clore Interiors is a full-service, Florida licensed interior design firm specializing in luxury residential and commercial interiors. With over a decade of experience in all aspects of interior design, Amber Clore has trained and developed the strongest team in the interior business that will work with you in developing a basic design program and provide you with a high-quality design consultation experience. From a simple paint consultation to a full on renovation, it's your design and our passion! At A.Clore Interiors, our main objective is to cater to each client’s design dreams then create unique spaces that express their individual style. Amber Clore, NCIDQ/ASID studied at The Florida State University to earn a bachelors degree in Interior Design. She is a licensed interior designer and rising star who combines on-trend creative talent with practical, technical design training and expertise. As an professinal member of the American Society of Interior Designers (ASID), Amber is a past president of the Florida North Chapter Board of Directors FY2018 and has held several speaking engagements on the practices and principles of interior design. With over a decade of experience with interior design, she is recognized as a emerging leader in her industry. Amber's passion is to provide a one of a kind design experience for her clients that capture their distinct individual style. Understanding that each project is unique and therefore requires a certain level of authenticity in order to reach its full potential, Amber and her team are technically trained to provide highly functional deign solutions with a creative approach to each individual project. While the firm specializes in residential remodeling and redesign, they also use this principal with their hospitality and commercial projects. For more information on how we can help you create your dream home or event, call A.Clore Interiors 407-328-0730, or email us at amber@acloreinteriors.com Feel free to stop by our studio in person! We are located at 116 S. Palmetto Ave. in Sanford, FL. Our mission is to transform & create beautiful environments while exceeding our clients expectations. We specialize in creating custom designs to give each client an unique and one of a kind space. The work of a professional can make all the difference. Whether your home has 10 bedrooms, or your apartment is 800 square feet, it can be tricky to create a cohesive look that is representative of your style. That's where a local Maitland interior designer comes in. A home decorator will help distill your tastes and ideas into a design that suits the needs of your space. 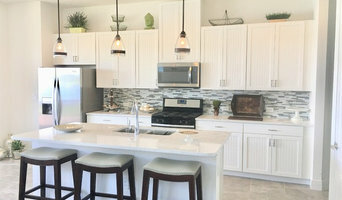 Whether you need help creating a functional space plan, rearranging existing pieces, designing the inside of a new home, or simply sourcing amazing furniture and decor, seeking the help of professional interior designers and decorators in Maitland, FL is a must. A good home design professional will hone your style down to its very essence and be able to choose a functional layout that feels natural to you. Interior design companies can be involved as much or as little as the client desires. Many clients who hire an interior decorator in Maitland, FL — particularly those who are remodeling — have a good sense of how the room should look and what products they should use. Often clients will insist that interior decorators use the products already present in the house. Other times a designer will need to start from scratch — especially if this is a newly purchased or just-built home. An interior design company will need to figure out exactly what the client needs, which includes organizing rooms, picking flooring and wall colors, and finding furniture to complement it all. Sometimes that means he or she will have to recruit help from other Maitland, FL home professionals to help create the perfect look for your renovation. Here are some related professionals and vendors to complement the work of interior designers & decorators: Architects & Building Designers, General Contractors, Home Builders, Design-Build Firms, Photographers. Do your research before meeting with an interior designer or home decorator in Maitland, FL. Ask yourself what you want your space to become and what it will be used for. Figure out the extent of what you need help with, what your must-haves are and what your budget is. Interior design services can add up fast, so be up front with a potential design firm or individual from the beginning. Also, pick an interior decorator that fits your style. Browse through the portfolios of different Maitland interior design firms and decide if you would live in those houses. Just because you like something doesn’t mean you could live in it. There's a big difference! Find an interior designer or home decorator in Maitland, FL on Houzz. 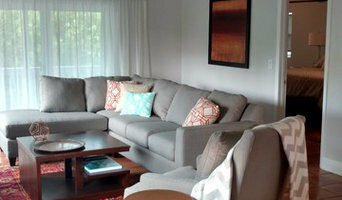 Narrow your search in the Professionals section to find Maitland interior designers near you. 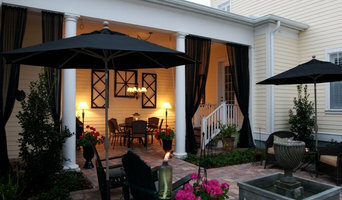 You can also look through Maitland, FL photos to find a room you like, then contact the design firm who designed it.